As mentioned above, P started to see gains yesterday after the company announced that it has brought on a new board member. The new member is Anthony J. “Tony” Vinciquerra, a technology, media and telecom expert with over 30 years experience. Vinciquerra will hold a position on the board as an independent director of the company. Recently, there have been quite a bit of conversations with regard to a buyout of Pandora floating around the media space. Many believe that the company is ripe for an acquisition and that there are plenty of buyers waiting for the opportunity to acquire the company. With the addition of Vinciquerra to the company’s board of directors, many believe that the company is even closer to an acquisition. In fact, in a recent statement, analyst Rich Tullo from Albert Fried & Co had the following to say…. As investors, we know that the news moves the market. Any time there is positive news with regard to a publicly traded company, we can expect to see gains in the value of the stock associated with that company. Adversely, when negative news comes out with regard to a publicly traded company, we can expect to see declines. In this particular case, we’re seeing strong gains on Pandora as investors cheer the move to add a new board member. However, I believe that the gains on the stock have less to do with the addition of a new board member and more to do with the concept of an acquisition happening down the road. Regardless, the stock is moving upward. Yesterday, the stock climbed by more than 10%, and the gains are continuing in pre-market trading today. Currently, the stock is trading at $10.99 per share after a gain of $0.06 per share or 0.55% so far. Moving forward, I have a relatively mixed opinion of what we can expect to see from Pandora. First and foremost, I’m expecting to see further gains in the short run as investors speculate that an acquisition is coming down the line. After all, mergers and acquisitions tend to cause gains like nothing else. However, in the long run, my opinion is very different. First and foremost, there is no solid evidence that Pandora is looking to sell the company. Sure, they brought on a new board member, but there has been no confirmation that the addition of the board member was in order to sell the company. 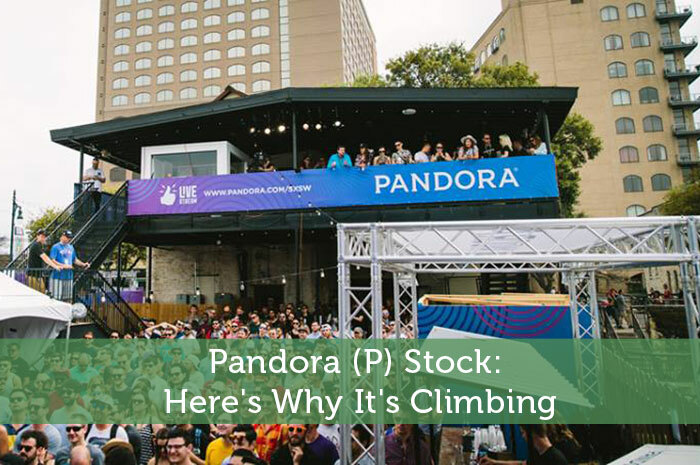 When we look at the true stats from Pandora, things start to get concerning. On top of that, as time passes, we’re seeing more and more competition popping up. With YouTube, IheartRadio, Spotify, and more, I see Pandora struggling further to maintain its market share in the industry. In the long run, if an acquisition doesn’t happen, we’re likely to see declines. Where do you think P is headed and why? Let us know your opinion in the comments below! I’m a fan of new tech stocks and Pandora is enjoying the nice increases with new board members.